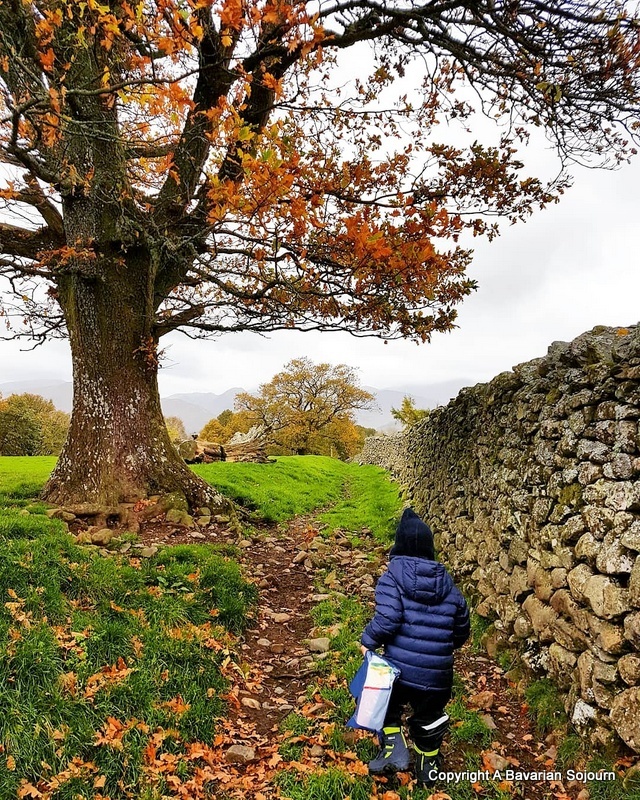 I love the tree and the stone wall in this photo, and of course your little man’s stubborn step. What a beautiful spot with those old trees and old stone wall. I hope you got the kite in the sky.